With a stay at Paloma Hotel Spintex in Sakumono, you'll be near the beach and close to The Junction Mall and Titanic Beach. 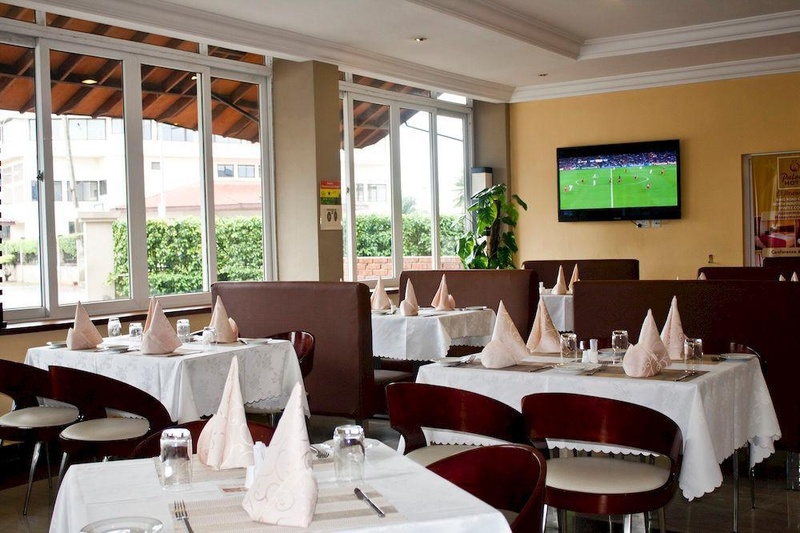 This hotel is within the region of Tema Newtown Central Mosque and U. S. Embassy. Make yourself at home in one of the 50 air-conditioned rooms featuring refrigerators and flat-screen televisions. Complimentary wireless Internet access keeps you connected, and satellite programming is available for your entertainment. Private bathrooms with showers feature complimentary toiletries and hair dryers. Conveniences include phones, as well as desks and minibars. Amenities Enjoy recreation amenities such as a nightclub or take in the view from a garden. Additional features at this hotel include complimentary wireless Internet access, concierge services, and wedding services. Getting to nearby attractions is a breeze with the area shuttle (surcharge). Grab a bite at one of the hotel's 2 restaurants, or stay in and take advantage of 24-hour room service. Quench your thirst with your favorite drink at a bar/lounge. A complimentary buffet breakfast is served daily. Featured amenities include a 24-hour business center, express check-in, and express check-out. This hotel has 2 meeting rooms available for events. A roundtrip airport shuttle is complimentary (available 24 hours). Serene environment. Lovely environment. Strategic location. Friendly helpful staff. Great staff. 24-hour reception. There was no hot water. Toilet was smelling.